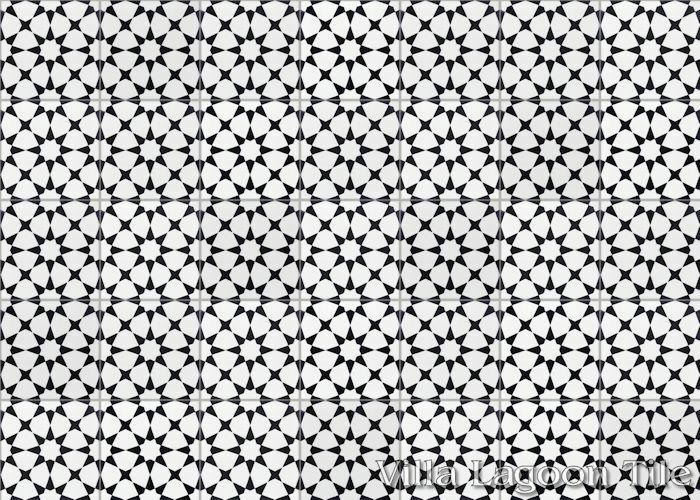 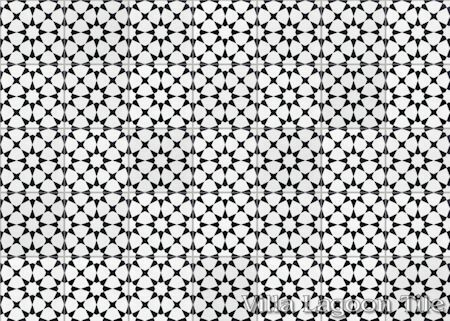 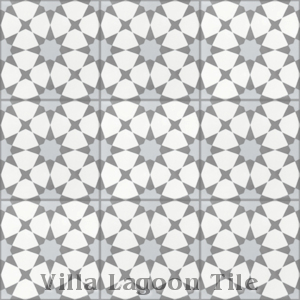 This classic Moroccan cement tile pattern traces back to the geometic mosaics that has made arabesque art so timeless. 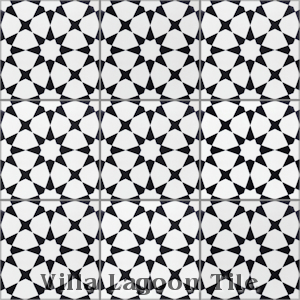 Angles flowing from tile to tile create multiple eight-pointed and four-pointed stars, with octagons in the negative. We call this pattern "Taza". 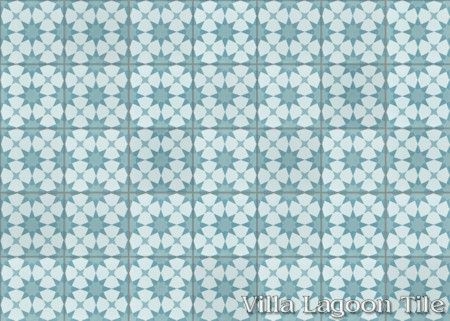 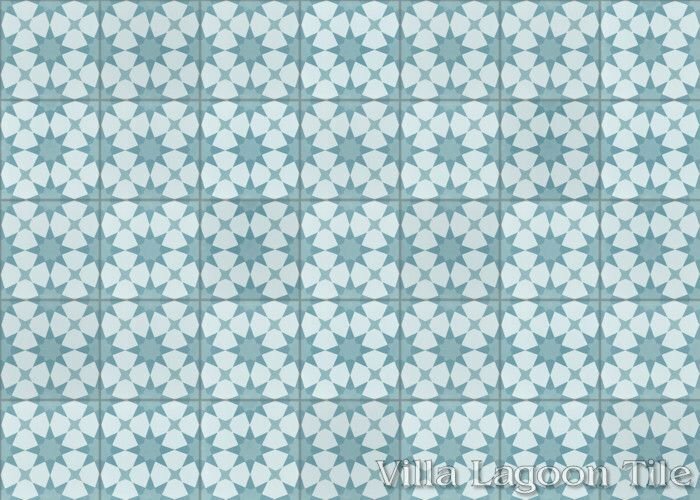 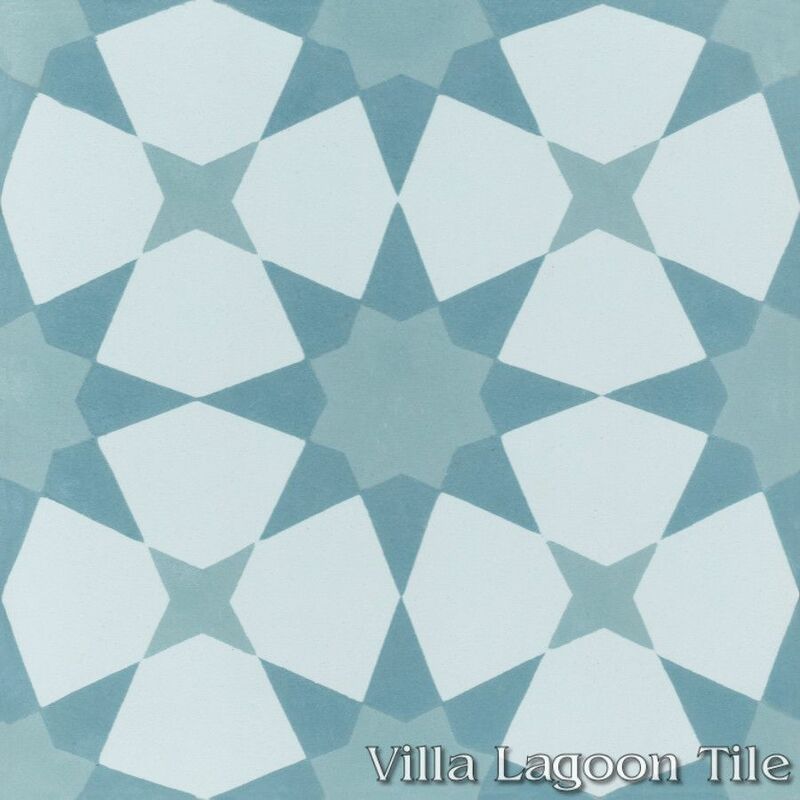 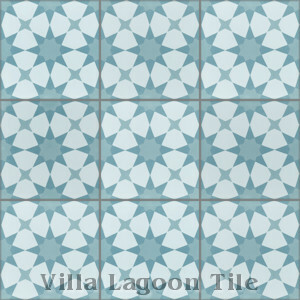 Villa Lagoon Tile's "Taza" cement tile pattern using Atmosphere, Velvet Sky, and Malibu Blue from the South Beach Palette. 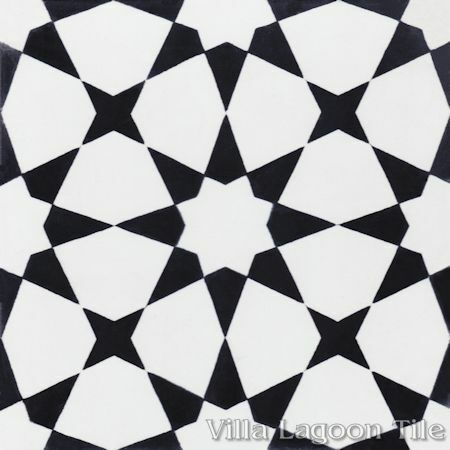 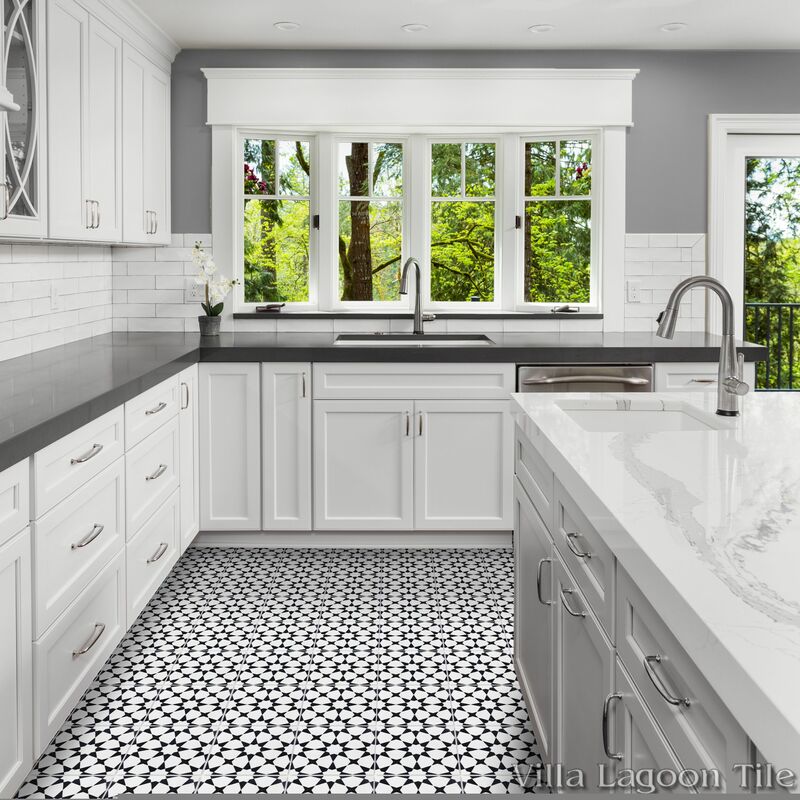 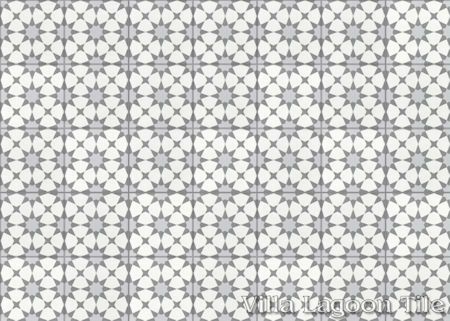 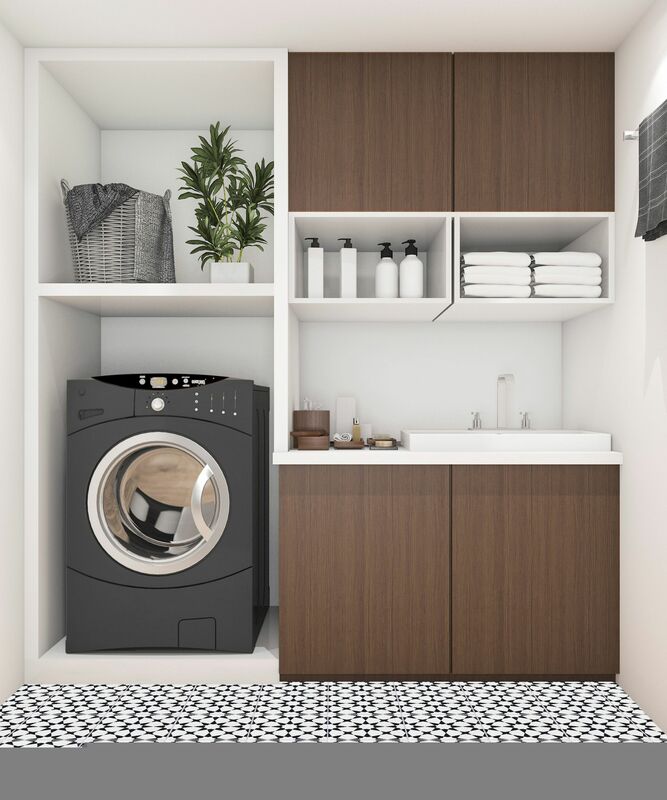 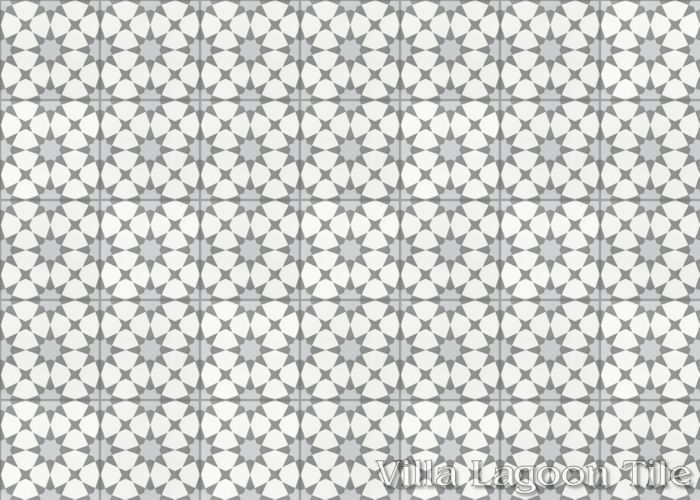 Villa Lagoon Tile's "Taza" cement tile pattern using Black and White from the South Beach Palette. 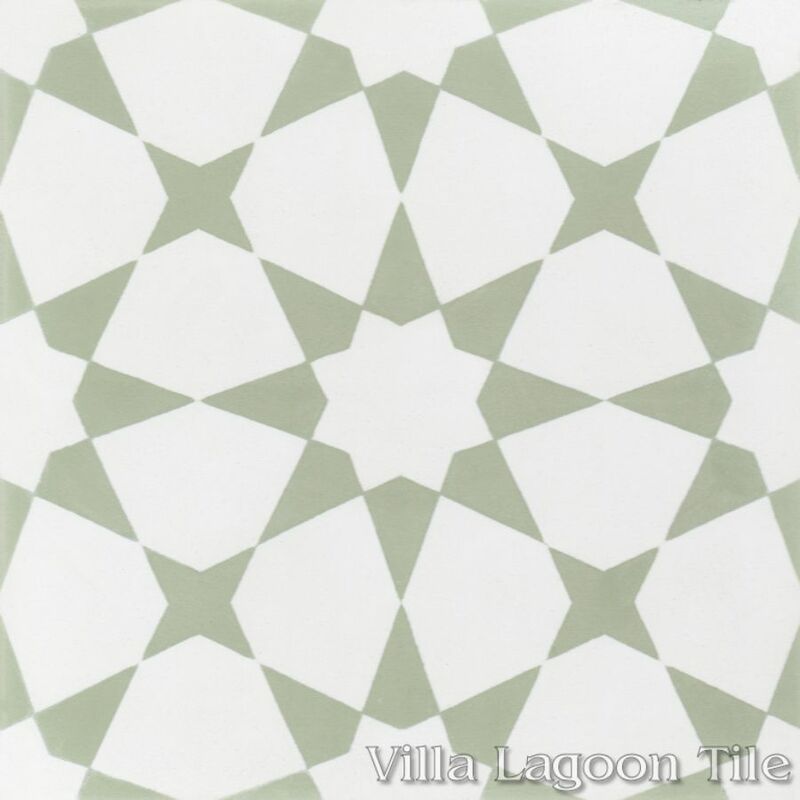 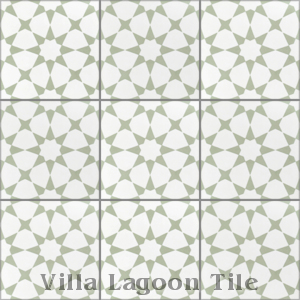 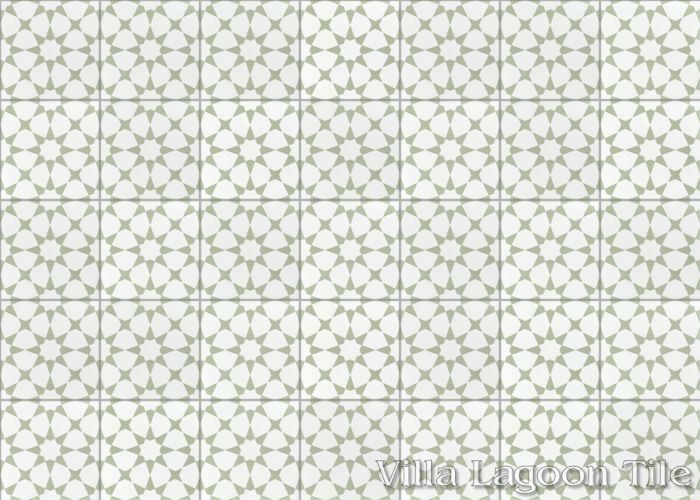 Villa Lagoon Tile's "Taza" cement tile pattern using White and Gray Green from the South Beach Palette. 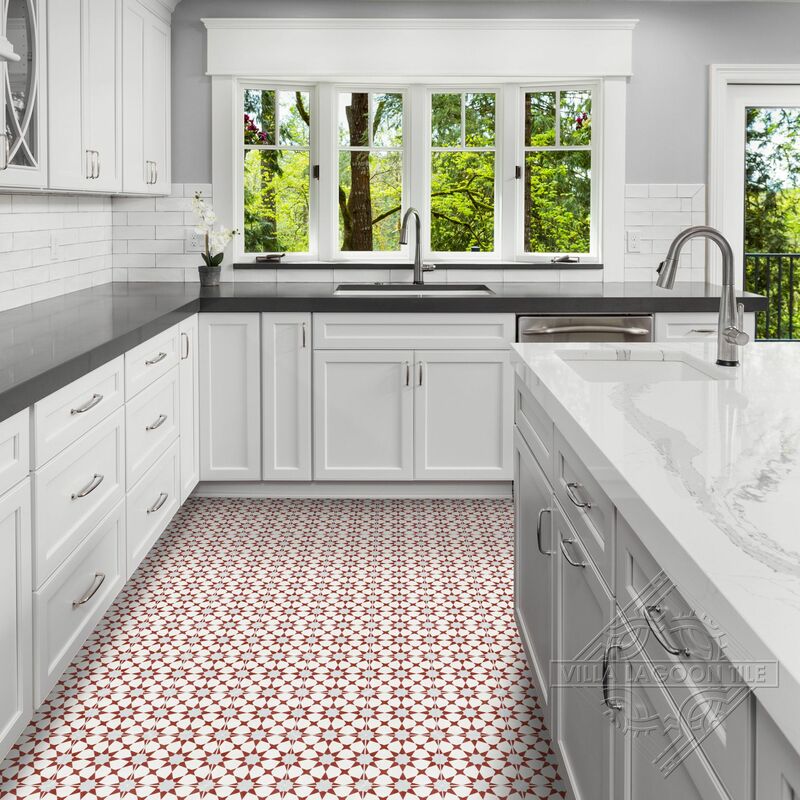 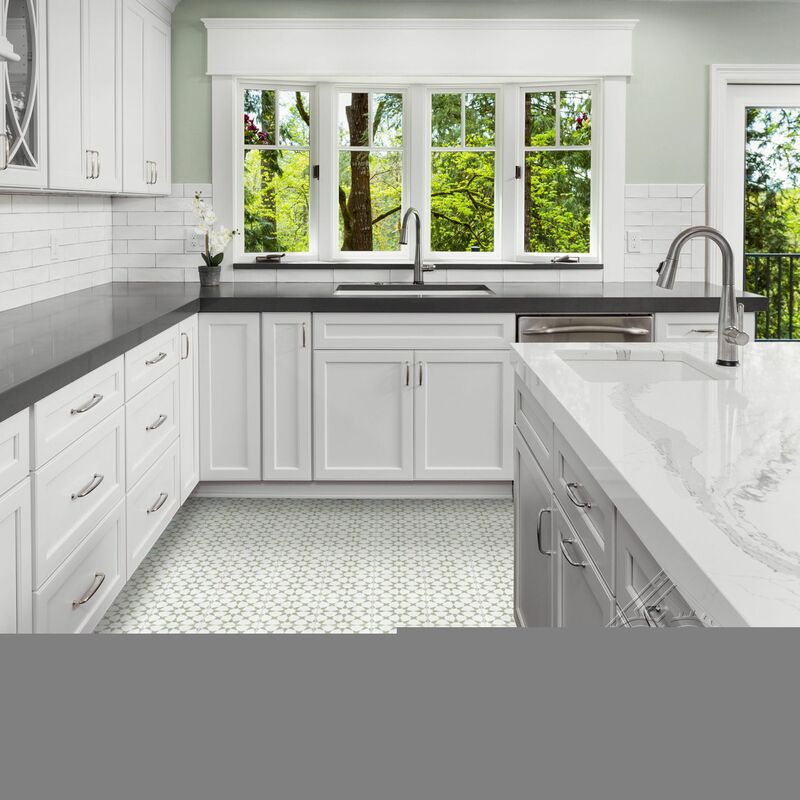 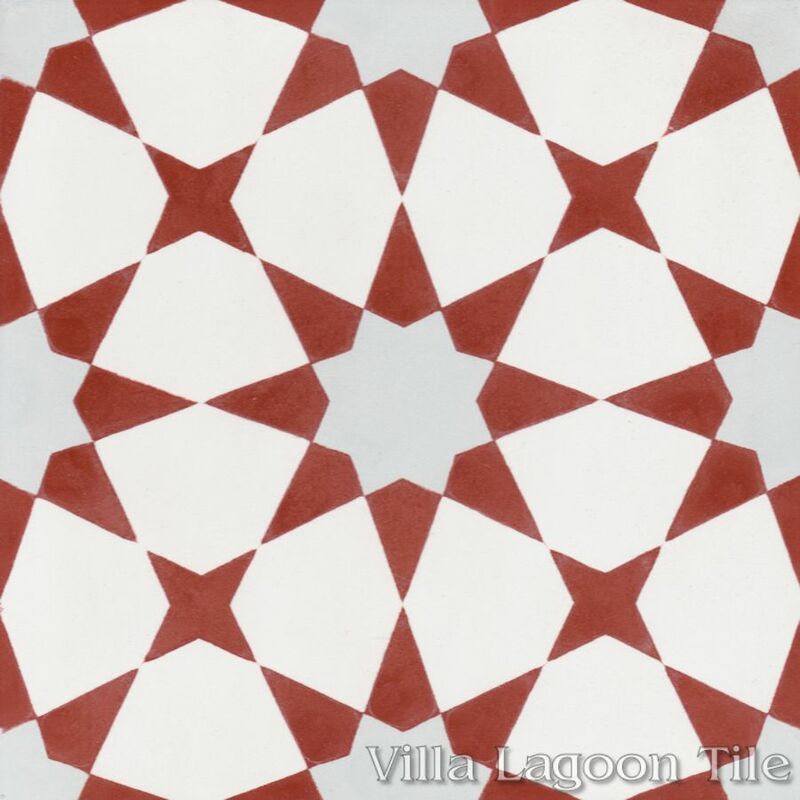 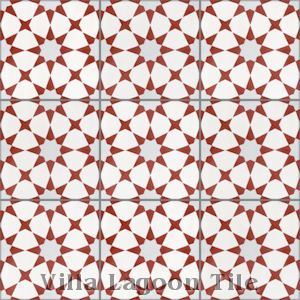 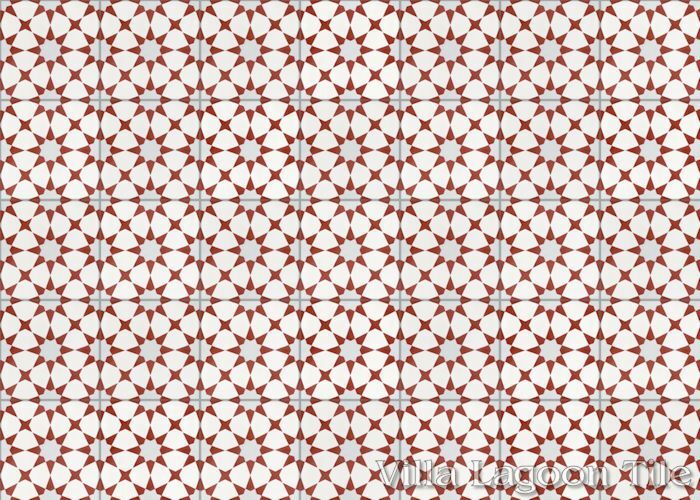 Villa Lagoon Tile's "Taza" cement tile pattern using White, Beacon Hill red, and Silver gray from the South Beach Palette. 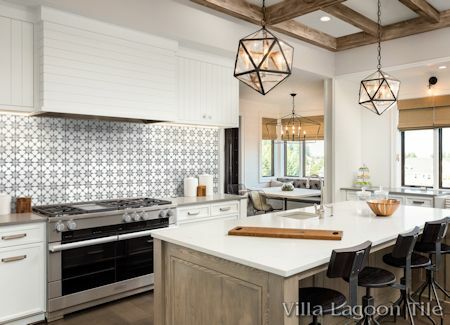 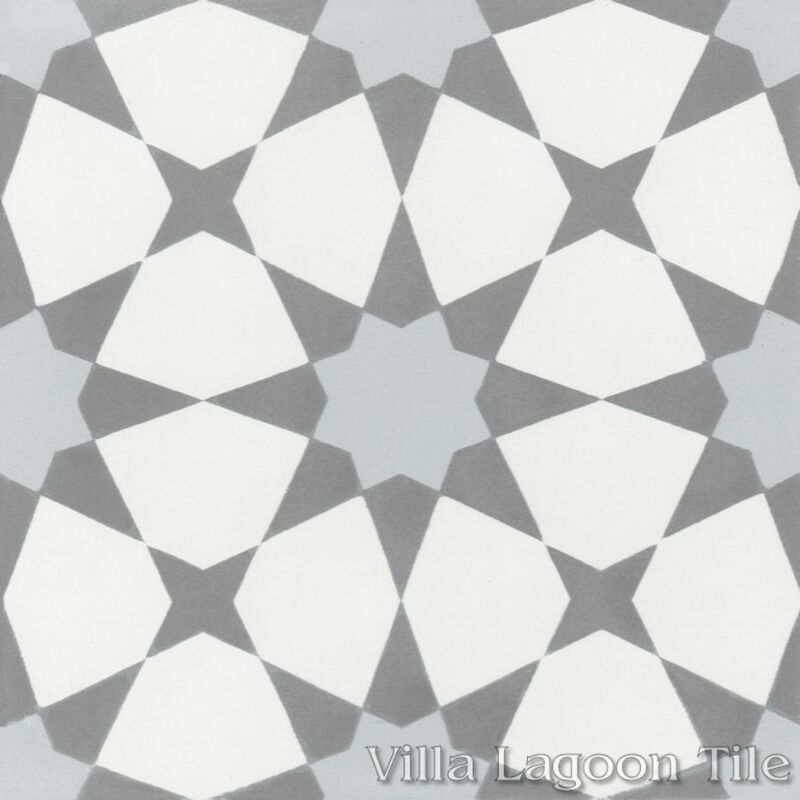 Villa Lagoon Tile's "Taza" cement tile pattern using White, Pebble, and Silver grays from the South Beach Palette.